Will be accompanied by several new plastic kits some of which are referenced in the 8th edition rulebook. Sources say to look for a “Stegadon sized” kit of a massive forest spider – the “Arachnarok”. This is hinted to have some type of topside fighting platform like the Steg and have tons of little spiders crawling all over. Multiple platform mounting options are mentioned, also analogous to the Steg. New Savage orcs are also mentioned. 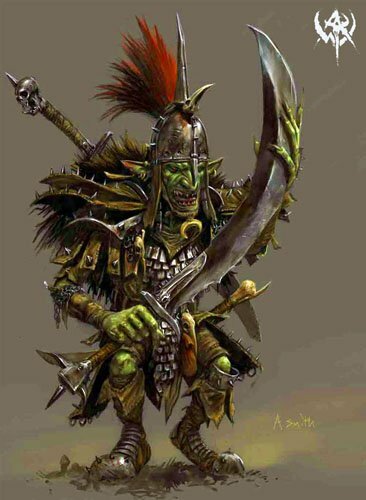 Readers are advised to pore over the background section of the Orcs & Goblins in the 8th book for hints.